Millions in the world suffer from back problems - Are you one of them? Home » Millions in the world suffer from back problems – Are you one of them? Millions in the world suffer from back problems – Are you one of them? 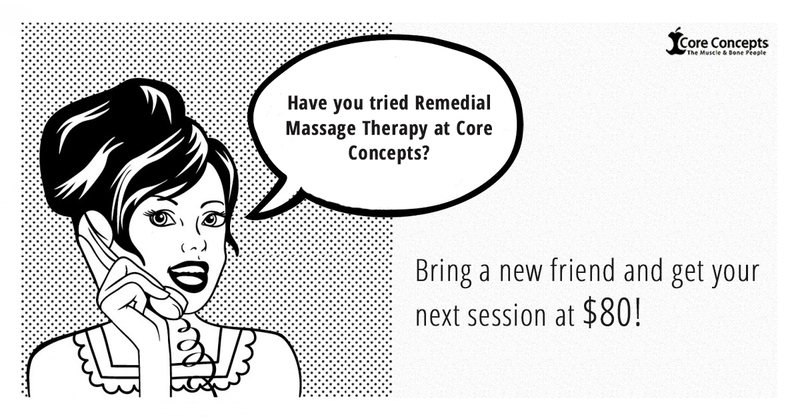 Enjoy our remedial massage therapy sessions? Refer a friend for our massage services and get rewarded on your next visit! Millions all over the world are plagued by spinal woes – join us at our Open House on 15 Oct, Saturday at Novena Square to find out how you can maintain good spinal health from our therapists! Chronic headaches and neck strains that affect your productivity for the day? Try the necksaviour – designed by experts, it is portable, lightweight and stretches tense muscles to relieve pressure and provide pain relief. Find out what Maheen thinks are the most common misconceptions surrounding physiotherapy! Isaac shares how he got into physiotherapy and his most memorable experience! In this video, Kelvin demonstrates how you can perform a plank correctly and efficiently. Christine has been coming to us for her musculoskeletal needs since 2004. Find out what made her stay with us for 12 years! Does your shoulder blade protrude out? In this article, find out what it is caused by and how you can fix it! Copyright © 2016 Core Concepts, All rights reserved.